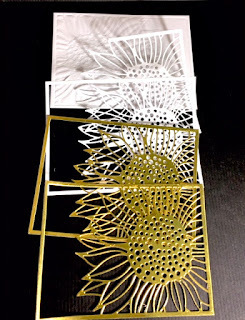 Cards by America: A Golden Sunflower Thanks! Hello and welcome back! So glad you are here! 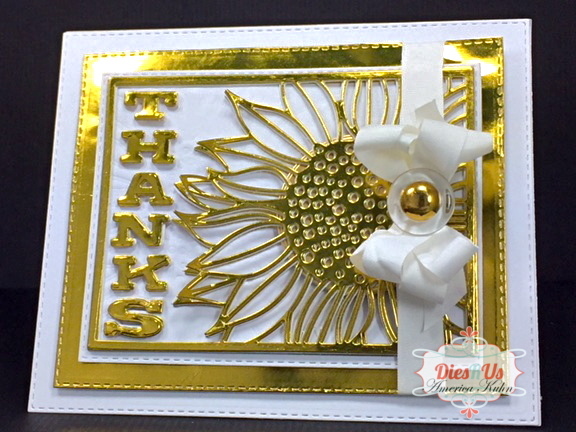 Today I'm sharing a simple Golden Thanks for the Dies R Us Inspiration Blog!! 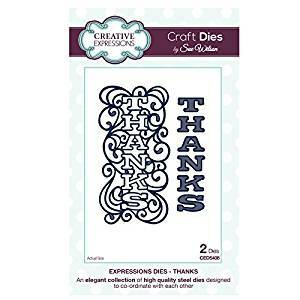 The word Thanks was also die-cut from gold and white to layer. The background panel was dry embossed with the same Impression Obsesions Sunflower die. This is done by running it through your machine with embossing plates stack only, without actually cutting. 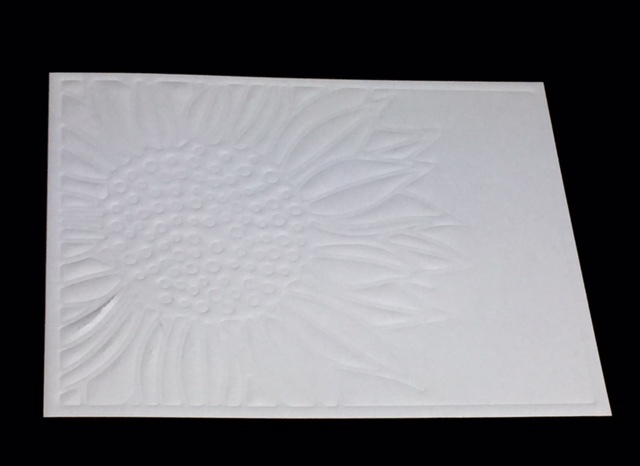 This next photo shows the 4 die-cut layers that were adhered with spray adheisve one over another then placed over the dry embossed panel. 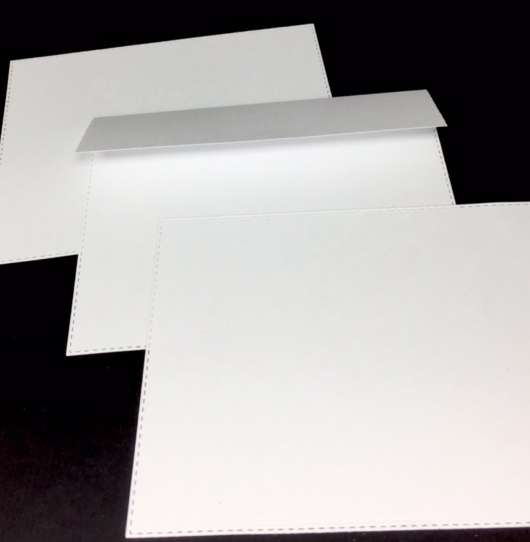 Finish assembling the die-cuts as shown to complete the card. An optional final touch is a button over the bow! Don't you just love how these fabulous Dies can really do all the work for you? 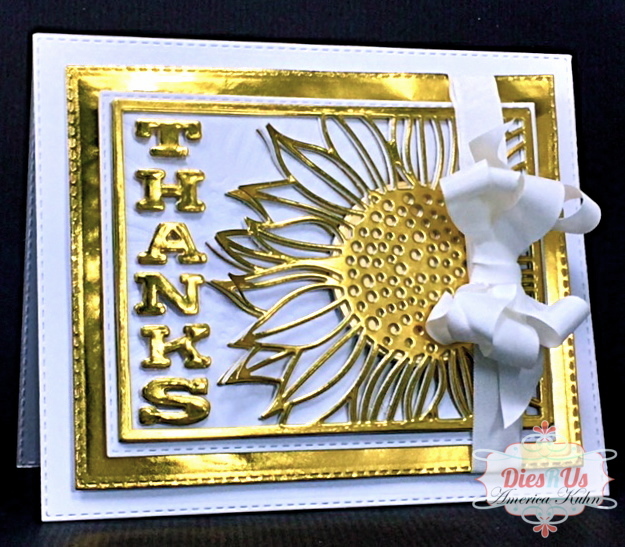 For more inspiration, come join the fun at the Dies R Us Challenge Blog. There's a new challenge theme offered on the 1st and 15th of each month and one lucky randomly drawn winner will receive a gift voucher prize to the Dies R Us Store. For your convenience, all the important Dies R Us links are provided below. 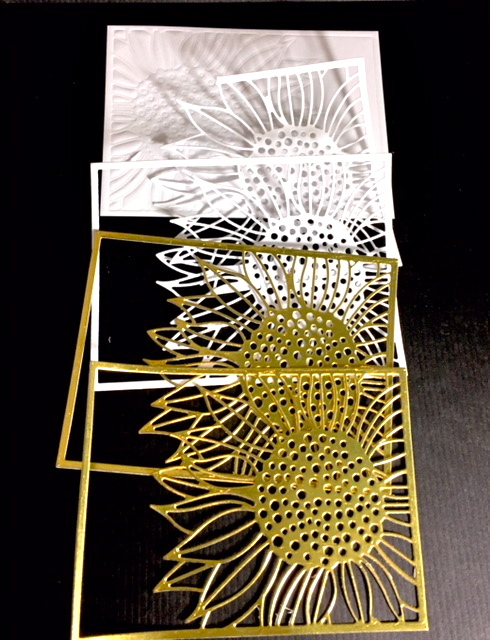 WOW, this beauty must have taken you forever to create. 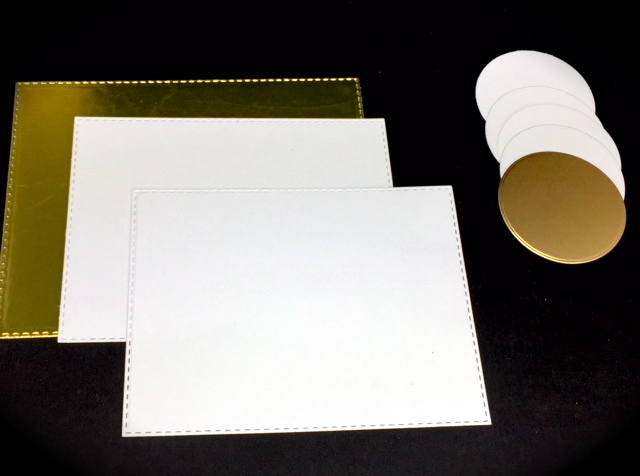 Lovely gold and white, so very elegant. Love all the dies you used and the wonderful design of your card. Awesome make, America. This is absolutely stunning in all the gold. 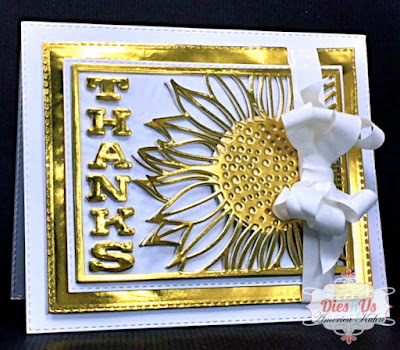 Love the sunflower!